We drove to West Texas this evening. Along the way we had the opportunity to watch a lovely sunset. 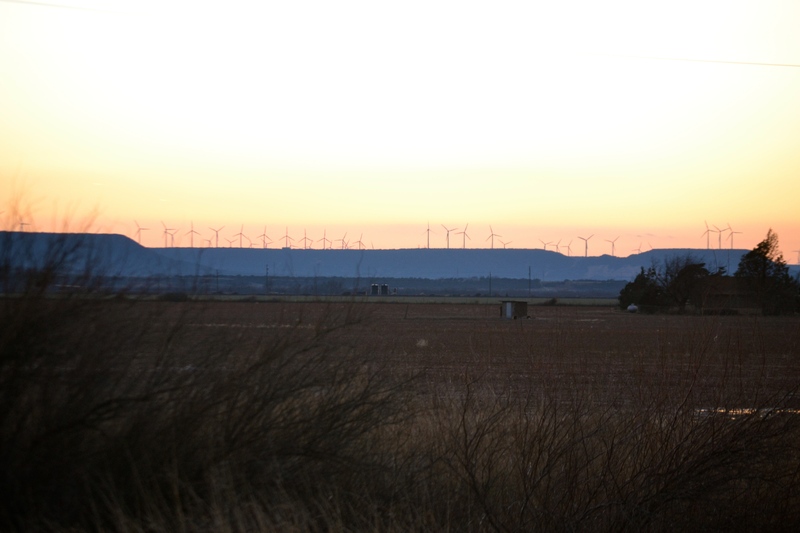 I really love the thousands of windmills in West Texas….if you look closely you can see them on the bluff. 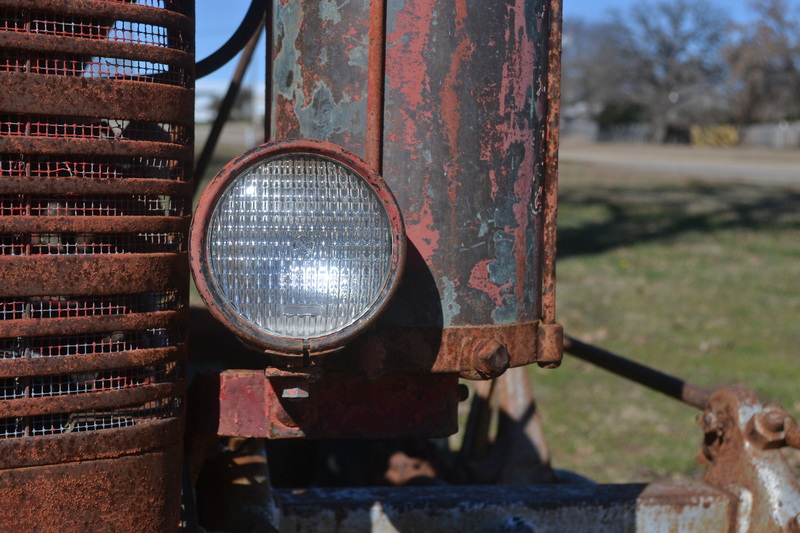 This entry was posted in Uncategorized and tagged 365 photos, Nature, photos, sunset, West Texas on January 24, 2015 by treerabold. 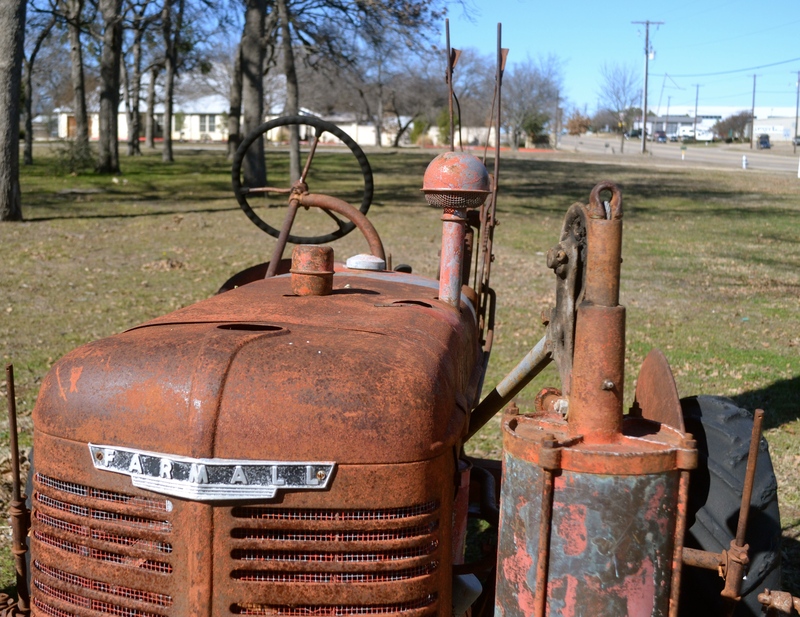 This entry was posted in Uncategorized and tagged 365 photos, antiques, old tractor, photos on January 23, 2015 by treerabold. This is my boy Freckles. He found me back in 2003. I had just lost my dog of 12 years to cancer and made the statement I wouldn’t have another dog unless God sent one to live on my porch. 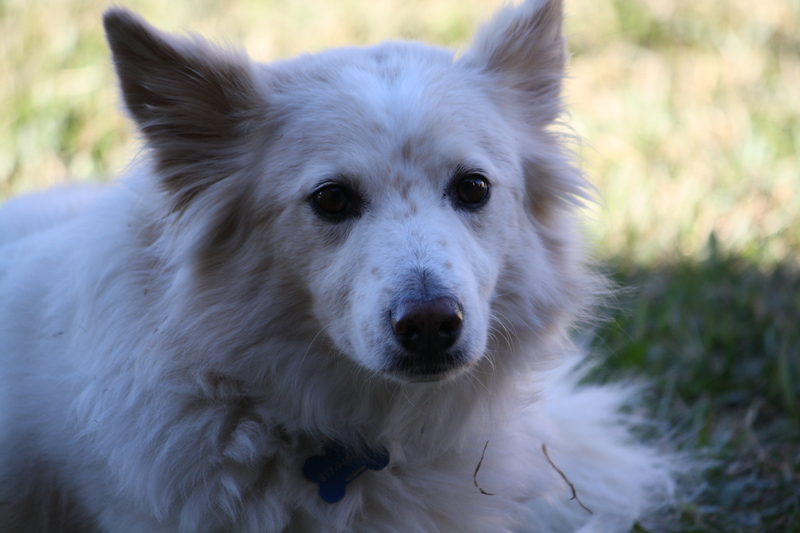 About a week after losing Andi I started noticing this dog running around the neighborhood. He seemed scared of everything. He hid in bushes and ran when people approached. Then one day he ran up to me, as though he had chosen me to be his. I petted him and fed him, but I didn’t let him in my house or give him any reason to think he had found a home. But he stayed and he attached himself to me. At the time I was working at a day habilitation center for adults with developmental disabilities. One of my clients asked if I believed when people or animals died they came back as someone else. I asked her why and she told me she thought Andi had come back as Freckles! I can honestly say I’m not sure what I believe when it comes to an afterlife….but it certainly seemed like Andi (maybe in cooperation with a supreme being!) had a hand (or paw!) in directing Freckles toward me. I don’t think it really matters why Freckles chose me…I’m just glad he did!! This post was inspired by Linda Arthur Tejera at Living With My Ancestors. After viewing her submission to Michelle’s Weekly Pet Share I learned she has a cat named Freckles. Her Freckles and my Freckles look absolutely nothing alike…but they are both really cute and really special!! This entry was posted in Uncategorized and tagged Dogs, Pets, rescue pets on January 23, 2015 by treerabold. 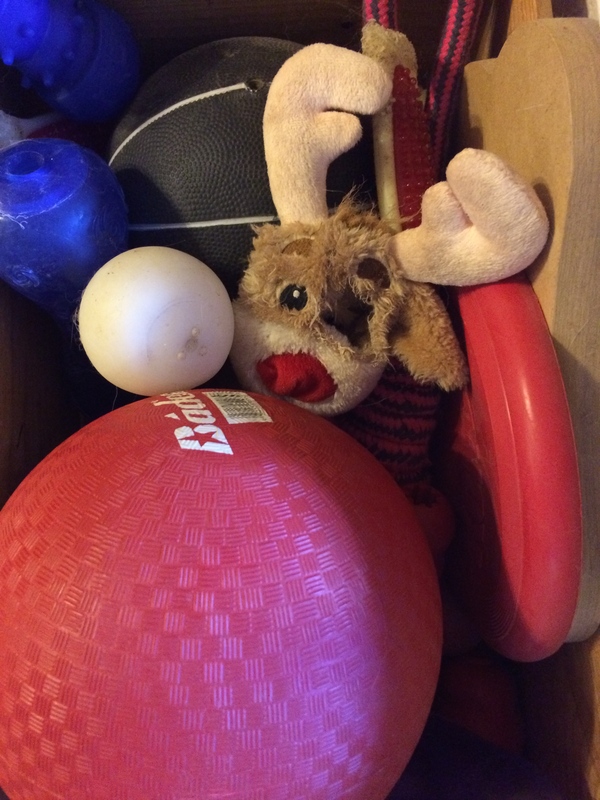 As I walked past the dog’s toy box I noticed the reindeer head staring at me. Its a toy the dogs got as one of their Christmas gifts. He has survived for a month. 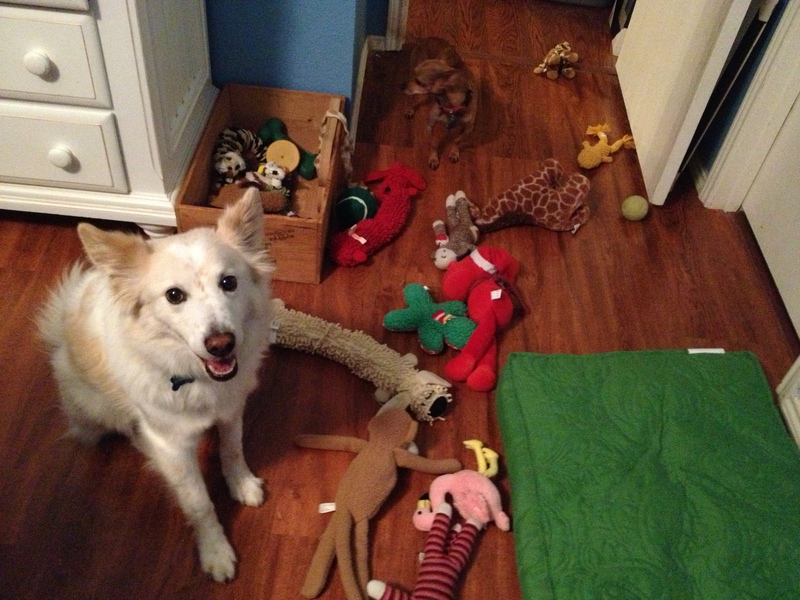 He lost his body, an eye, all his stuffing and the nose isn’t looking so good…but the dogs still play with him…he still has a purpose!! This entry was posted in Uncategorized and tagged 365 photos, Dogs, Pets, toys on January 22, 2015 by treerabold. 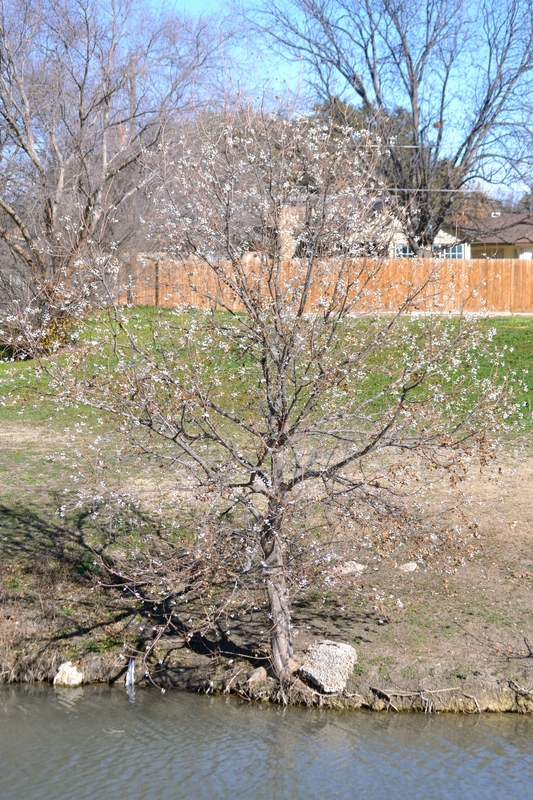 I was surprised to notice this tree yesterday while out walking. 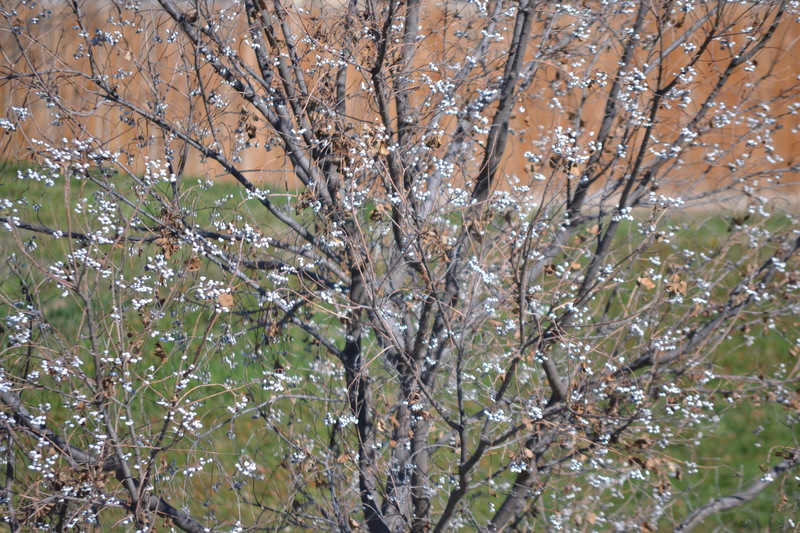 It appears to have white buds popping out all over. Its been cold (by our standards) for the past couple weeks here in Texas and this week it feels like spring. But spring is at least another month away and we will have several more cold snaps between now and then. 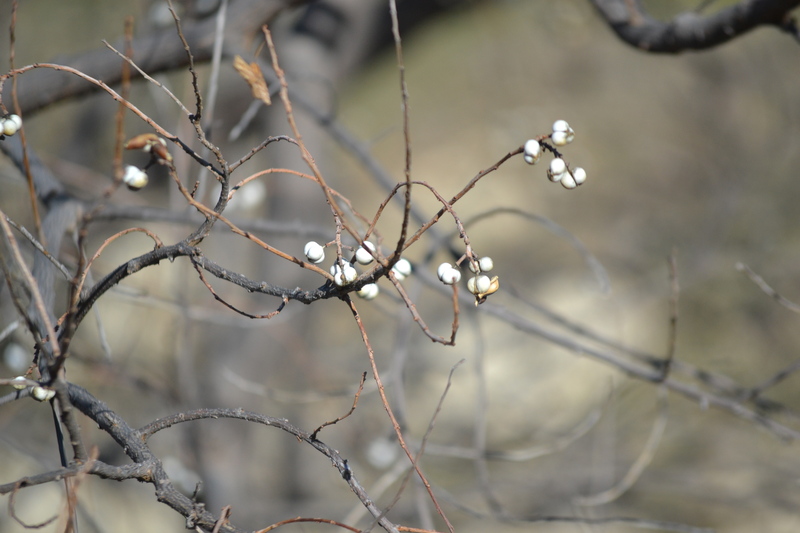 I’ve done a little Google search in an attempt to learn what this tree is…I’ve had no luck. I’m hoping Midwestern Plant Girl might be able to help me out with identification! This entry was posted in Uncategorized and tagged 365 photos, Nature, photography, plants, trees on January 21, 2015 by treerabold. My computer issues are finally fixed and hopefully I am back on track with my daily photo post. 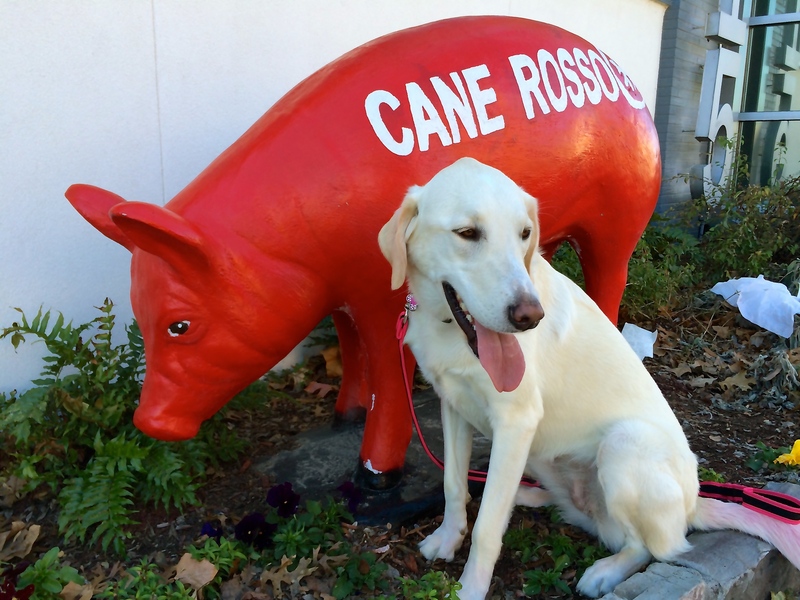 Sugar meeting a kind, yet shy red pig! This entry was posted in Uncategorized and tagged 365 photos, Dogs, Pets, photos, pigs on January 21, 2015 by treerabold. Look who I met at the park today! 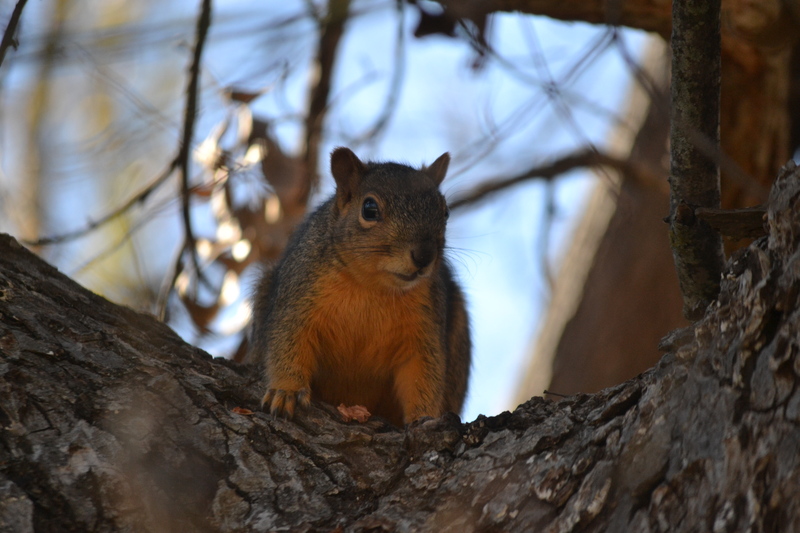 This entry was posted in Uncategorized and tagged 365 photos, Nature, photography, squirel on January 19, 2015 by treerabold.